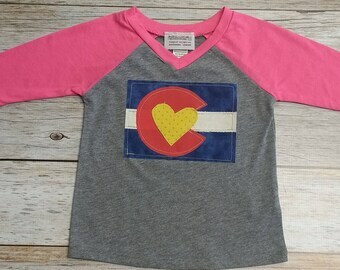 Listing is for infant neon pink raglan American Apparel baseball shirt with 3/4 sleeves. 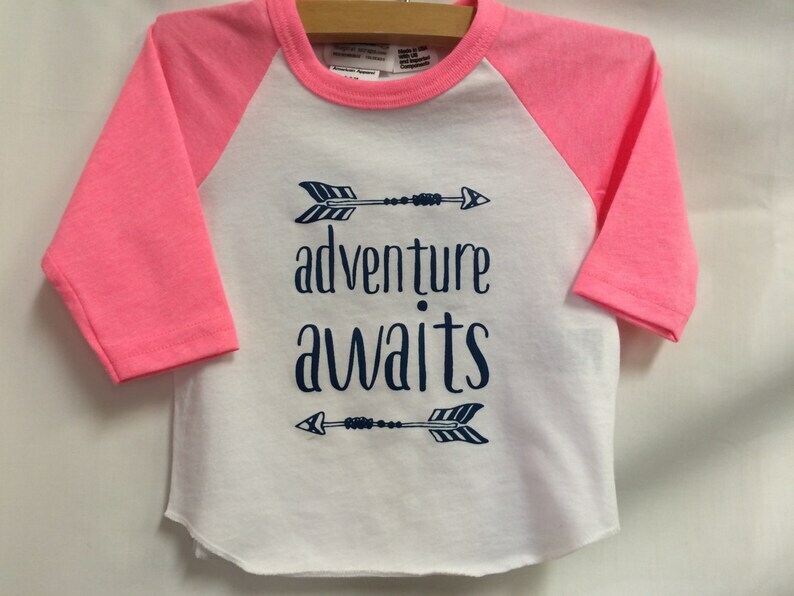 Adventure awaits heat press on front with appliqué patch on back. 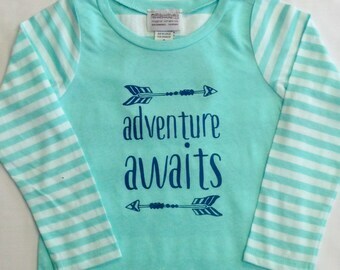 Available in infant sizes 3-6mo. 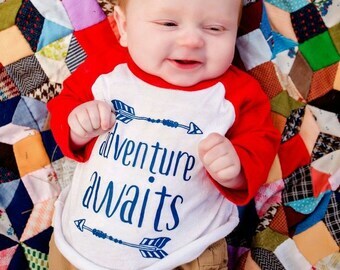 6-12mo. 12-18mo. 18-24mo. 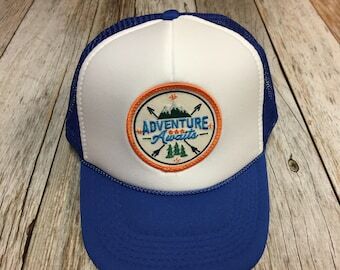 50/50 cotton/polyester blend. Machine wash & dry.